Mr. Horace Corbin of Grand Isle Vt. operated two ferries, the city of Plattsburg and the City of Burlington, under the company name "Green Mountain-Adirondack Ferry Company. In 1936, Corbin commissioneed General Ship and Engine Works to build two new "Streamlined Ferries." 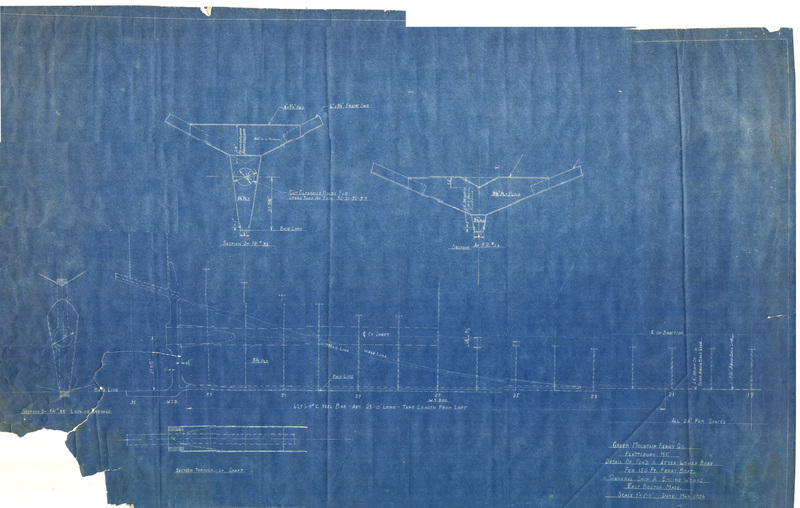 We believe the plans below (which we were fortunate to find on Ebay!) are the original plans for those two ferries, which were also named the City of Burlington and the City of Plattsburg. 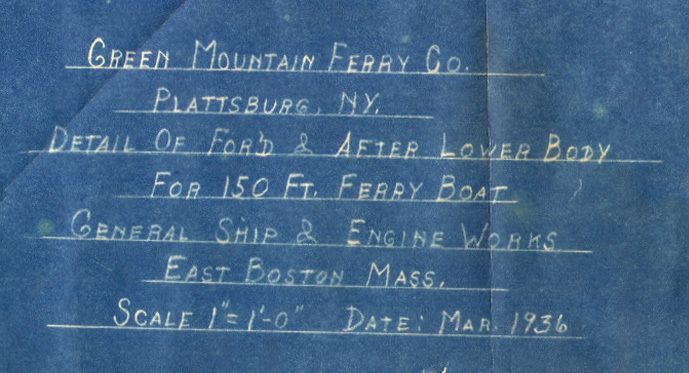 In 1937 the two ferries became part of the Lake Champlain Transportation Company, when Corbin took the company over. Please note. 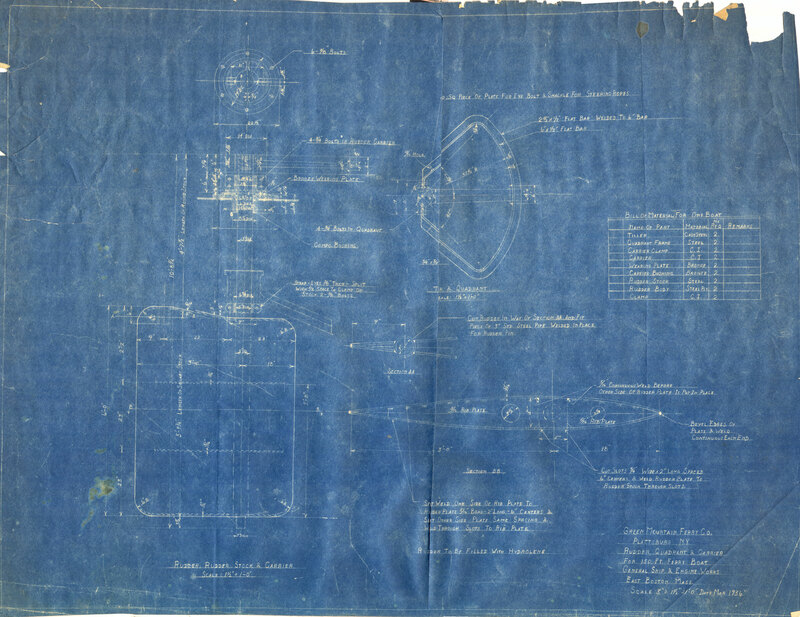 We had to scan this delicate old blueprint in multiple pieces, and in some areas lines may be uneven where we were not able to align everything correctly.